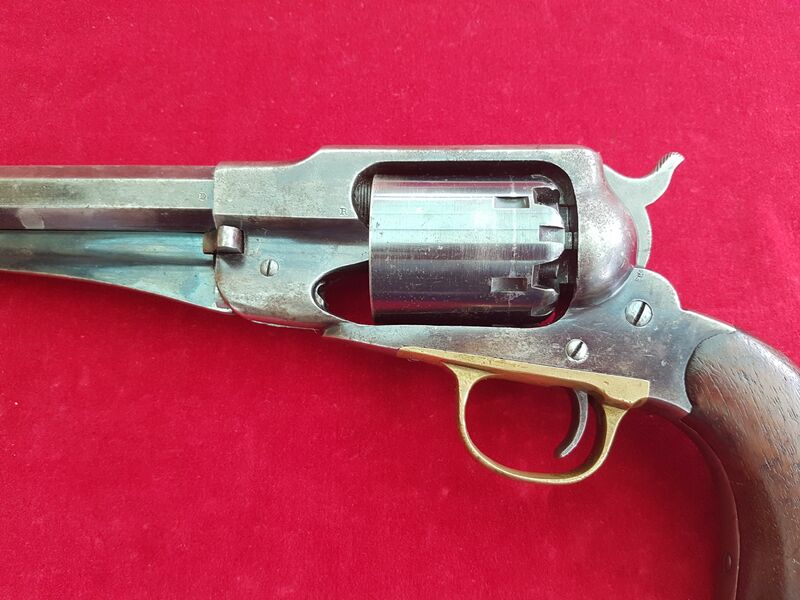 X X XSOLD X X X Remington "New Model Army" .44 calibre percussion Revolver c.1861-1865. Ref 1573. 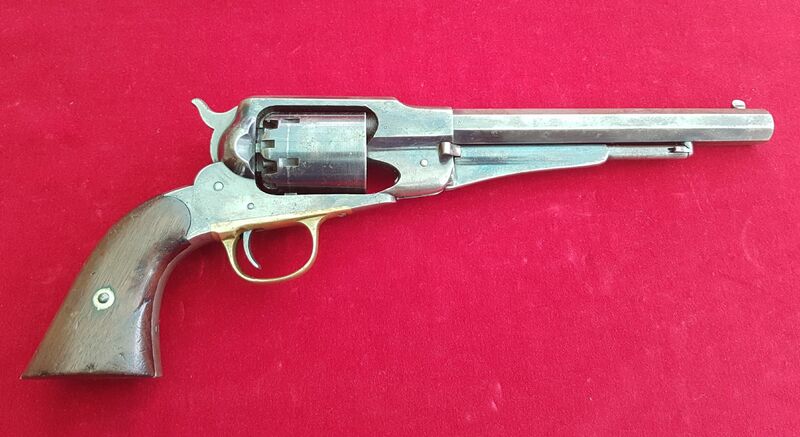 A good Civil war era American Remington "New Model Army" .44 calibre percussion Revolver c.1861-1865. 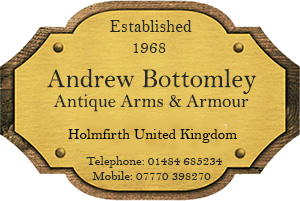 The barrel stamped on top with "Patented Sept.14 1858. E. Remington & Sons, Ilion, New York U.S.A. New Model". 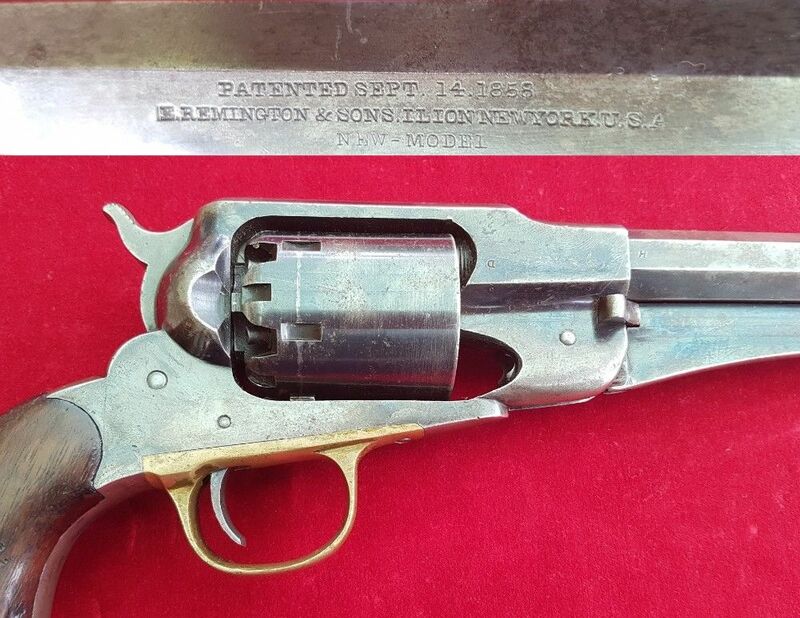 These great revolvers were manufactured by Remington and were the major competition to Samuel Colt's model 1860 Army Revolver. Almost the whole production were ordered for the various U.S. Government contracts placed during the American Civil War. The famous American showman William F. Cody (Buffalo Bill), carried one of these reliable revolvers during the Indian wars in the mid 19th century and he was known to have said about his Remington "it never failed me". Overall length 14 inches. The action is very crisp. Condition is very good with approx 70-80% of its original blueing. Ref 1573.